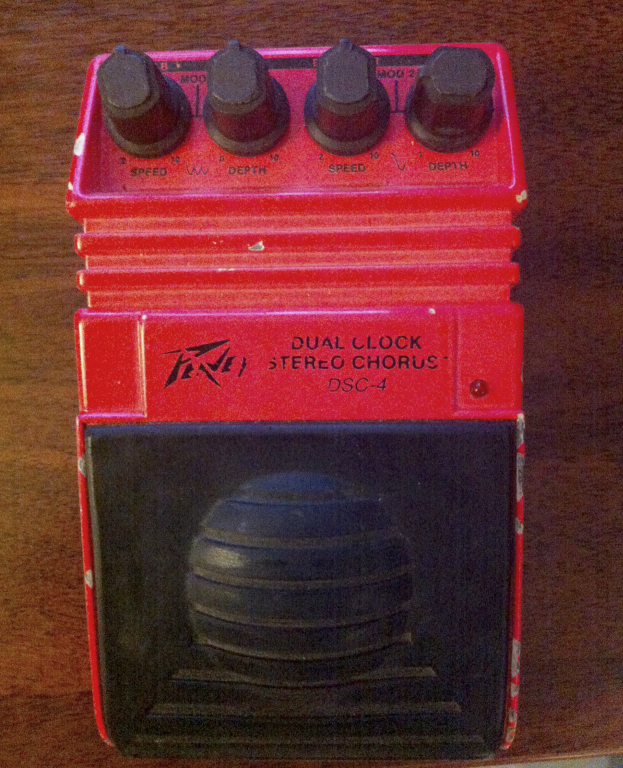 DSC-4, Chorus for Guitar from Peavey. I got a fender Tele with single coils and a solid state fender champion 100 with a dozen effects pedal-board. Ive played this pedal through a keyboard also for that electric piano sound. This pedal is old-school so its got a rat pedal style pin for power port also takes a battery, has a funky switch but no problem. This pedal has ALOT of sounds in it, though the good news is there all good, so some tweaking is required to get a basic chorus. 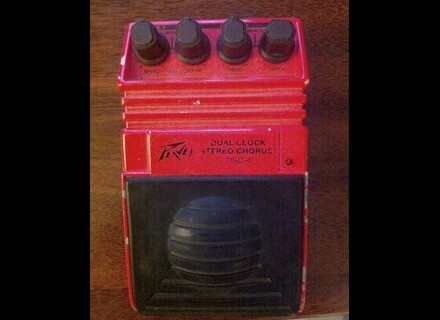 The Peavey DSC-4 pedal is one of those rare cool finds as its easily one of the better pedals on my board. Ive used other chorus pedals before, (Dan-Electro, Boss, EHX and this pedals sound is just as good if not better if your going for that 80's reverb.